When it comes to mobile payment services, Apple and Google compete against each other in the United States, as both giants are trying to amass as many customers as possible. In fact, Apple Pay and Google Pay add new banks and financial institutions on a monthly basis, but the numbers vary greatly. For example, early this month, Apple Pay support was added for 15 new banks, far from what Google Pay managed to add this month. The updated list of banks and credit unions in the U.S. that offer Google Pay support has been recently updated with 43 new banks. Alpena Community Credit Union, American Bank, NA, Bank of Deerfield, Bar Harbor Bank & Trust, Baraboo State Bank, BlackRidgeBank, Campbell Employees Federal Credit Union, Coleman County State Bank, Columbia Credit Union, Community Bank of Louisiana, Community Resource Bank, Equishare Credit Union, Federation Bank, First Area Credit Union, FNB Bank, Inc. (KY), FNB Bank, Inc. (WV), GNB Bank, Jefferson Credit Union, KH Network Credit Union, LaSalle State Bank, Liberty Bank, Members Choice West Virginia Federal Credit Union, and Memphis City Employees, Metro Employees Credit Union, Midland States Bank, Monroe Telco Federal Credit Union, NESC Federal Credit Union, NexTier Bank, National Association, Northwestern Mutual Credit Union, Pearl Hawaii Federal Credit Union, Pine Federal Credit Union, Rabobank, NA, Rushville State Bank, Sanibel Captiva Community Bank, Southwest National Bank, St. Pius X Church Federal Credit, The Citizens National Bank of Bluffton, The Citizens National Bank of Somerset, The Farmers & Merchants Bank, The First National Bank of Ballinger, Ticonderoga Federal Credit Union, Washington Gas Light Federal Credit Union, Windsor Federal Savings & Loan, and Wiremen’s Credit Union. 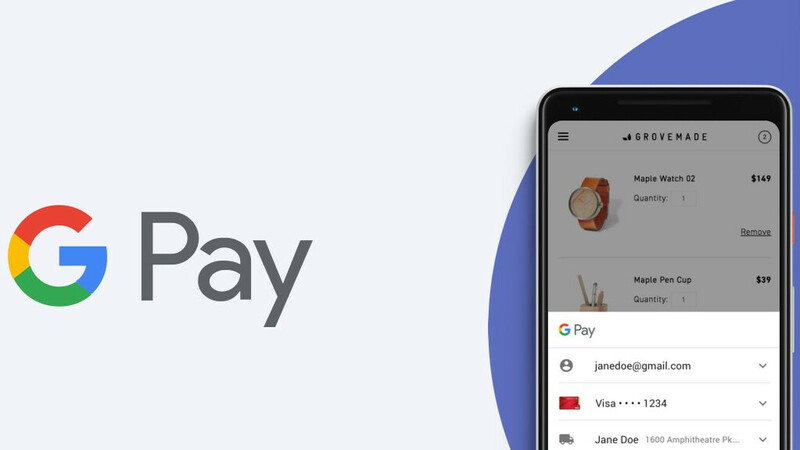 If you want to use Google Pay, but your bank is not among those that offer support for the mobile payment service, you can be sure that Google will eventually add it at some point in the future. Be sure to check back next month when Google Pay is expected to add new banks and credit unions. Almost 4 years in the game but still only half capicity compare to SAmsung Pay.